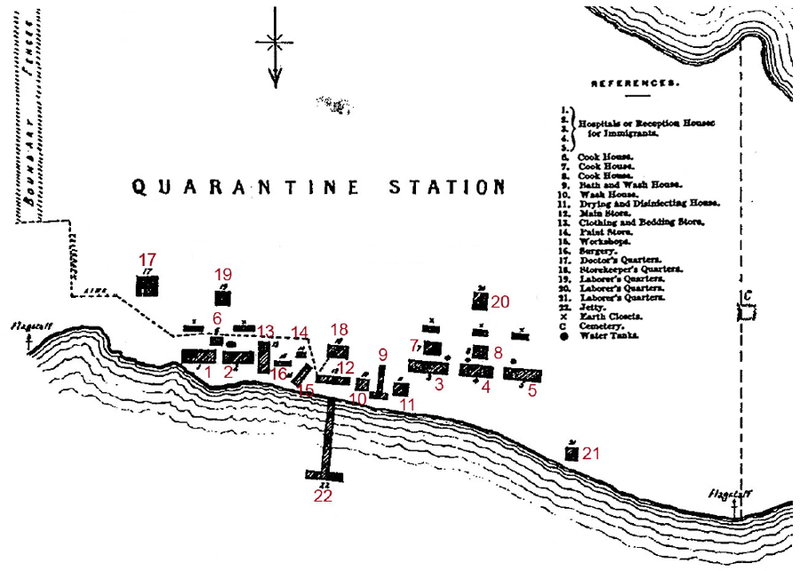 Detail from a map of the Sanatory Station, Point Nepean which accompanied the 1875 Annual Report to the Victorian Parliament. Note that the scale and placement of the buildings is indicative only. Source: State Library of Victoria.